As pioneers in gamification and social functionality in online learning, our dedication to learner engagement is what sets us apart. The Academy Learning Management System is optimised to give the most intuitive experience possible, for learners and admins alike. At Growth Engineering, we commit to ongoing improvements, ensuring the Academy LMS evolves with the evolving needs of today’s users. The Academy is optimised for all devices including desktops, tablets and mobile contributing to a user-friendly learning experience. </p> <h4>The Library</h4> <p>As admin, you have control over what each learner sees. All content can be categorised, making it easier for them to find what they need. </p> <h4>My Things To Do</h4> <p>This is a list of everything your learners need to do. Tasks from all areas of the platform appear here giving your learners more clarity. </p> <h4>PERSONALISATION</h4> <p>Personalisation creates more relevant and meaningful learning experiences. Learners can upload a profile photo, add a bio and exhibit their work. If you invest in great training material, you need to make sure it’s delivered on a great platform. The Academy LMS is built to engage learners at every opportunity, giving them the best chance at success. If you invest in great training material, you need to make sure it’s delivered on a great platform. The Academy LMS is built to engage learners at every opportunity, giving your content the best chance at success. The Academy LMS lets you use a variety of file types to build your training plan. To name a few, these include: SCORM eLearning (1.2), MS Office files (PowerPoint, Word, Excel) video , images, and PDF. Learners and content are arranged in flexible groups which determine what can be accessed and by whom. The default settings can also be adjusted for individual pieces of content (for example, open access). 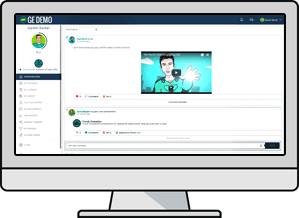 Learners can upload their own content in various areas of the platform (see Social/ Insight Groups). Admins can access and view this content and use it to build and expand their Library of formal learning content. Admins can push learning content to individuals in line with their assessment answers and access level (set by their Manager or the Admin). Learners can pull any content they require from the Library. Admins can collect definitions of popular terms in this dedicated section of the Academy LMS. 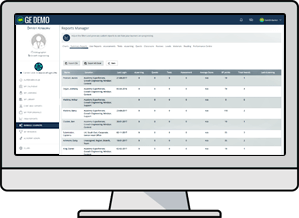 This functionality can also be used to manage a directory of contact details for key people in your organisation. You can keep your content organised by assigning various attributes on creation (or by editing them at any time). These can include: description, category, expiry date and version number, to name a few. You can create categories and subcategories to help organise your content and manage group visibility. This also defines the structure of the Library, letting Learners easily find the training they need. Admins can batch different types of content together in Curricula. Each Curriculum can contain anything from eLearning to Classroom events, and badges can be awarded upon completion (see Gamification). The article functionality lets Admins create posts within the Academy LMS which can be accessed by all users. This can be used alongside the social features to create an Admin diary or to manage news alerts. Surveys let Admins collect feedback from individuals, on and off the platform. This helps gather aggregated data in scenarios like Pre-Interview Recruitment, Customer Satisfaction or Market Research. The Academy LMS gives you the tools you need to manage user permissions. Aside from the standard system roles available, you can also create custom roles and define the access rights and capabilities for each. 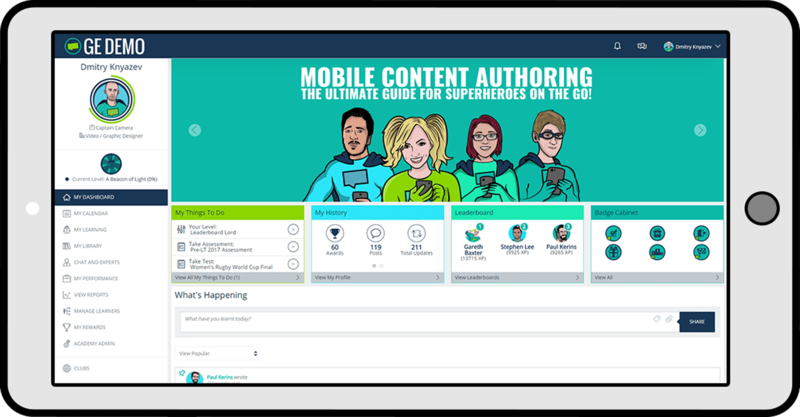 Learners can access content via the library, receive alerts from manager and use the social tools to interact members in their team. These teams can be structured according to the needs of the organisation. The Tutor user role helps tutors and trainers manage classroom training events. This lets them mark attendance, use existing material within the Library and push live assessments during classroom sessions. At an additional cost, the role of Admin-Lite can be assigned to a number of Admins (in different regions, for example). This gives them most of the functionalities of an Admin with user-defined restrictions. Our four-tier hierarchy system, lets you arrange all users in a way that works for you (e.g. based on their region, branch or department). We can recommend an ideal hierarchy during the setup process. Expert status can be assigned to any user who can demonstrate their expertise in any topic. Other users can find the go-to person in the Expert section, ask questions or view a list of previously answered questions. Admins have complete access and visibility over all users, content, and Admin features. Among other duties, they are responsible for managing teams, maintaining a consistent design and driving learner engagement. Learners can be added, deleted or edited individually or in batches by importing a spreadsheet. The Academy can also synchronise with HR systems making it easier to populate your team (See: Integrations). 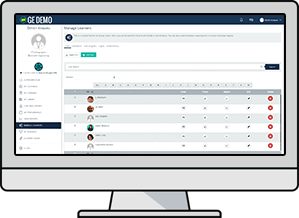 The Academy LMS comes with a suite of tools for measuring your learners’ progress through their training. These versatile templates can be adapted for a variety of business needs, from training to employee engagement. Aside from pushing content to your Learners, the Academy LS includes a number of online tools for assessing their progress. These include Assessments, Tests, Reviews and Surveys and each have their own unique uses. Managers, Assessors or Administrators can leave feedback on any submitted assessment or test. Based on the Learner’s performance, they can also push additional content or Assessments to address the training needs. The Review functionality lets you monitor and review Learners’ continual professional development. An integrated Performance Centre is also available as an optional extra (See: Performance Management). The Assessment and Test tools let you use several question types to identify skills gaps and address training needs. You can also control the number of attempts, the time commitment and the deadline. Admins can specify additional content when they create their Assessments. If a Learner fails an Assessment, these assets will automatically be pushed to the prominent My Things To Do area on their dashboard. Curricula can be configured to include Awards on passing. These Awards are visible in the Learner’s Badge Cabinet and can be linked to a PDF Certificate. Admins can also upload custom certificate templates. Randomised questions, time limits and recording of results help meet regulatory requirements. Admins can also control the conditions and limit other functionalities until the test in question has been completed. The Academy LMS supports blended learning, letting you manage all classroom booking including: invitations, management authorisation, resources, allocated places, pre-course reading and applicable costs. My Calendar is an area on the dashboard that is a prominent focal point for all your classroom training. It lets Learners, Managers and Tutors stay up to date with all instructor-led events and workshops. 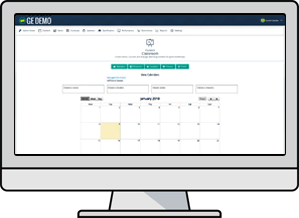 Users can register their interest in events that have no scheduled dates. Once enough people have subscribed to the course, the Admin can schedule a date and send notifications to everyone on the waiting list. You can also use the classroom functionality to manage webinar invitations. Using the calendar tool, you can invite Learners to webinars on third-party applications such as GoToMeeting, WebEx and join.me. Interactive Classrooms addresses the needs of instructor-led training, as well as online learning. 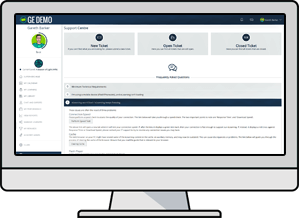 Its features include a flexible event management tool, live assessment capabilities and real-time reporting. When you create a classroom event for a specific audience, you can edit the authorisation settings. When users enrol in these restricted events, the Manager has the option to approve or decline the request. An iCalendar .ics attachment is pushed out to Learners via email letting them keep track of their LMS classroom training through their external email calendars (e.g. Gmail, Outlook and other mail platforms). Growth Engineering are the market leaders in gamified learning solutions. Unlike the bolt-on game mechanics in other platforms, our Academy LMS is built from the ground up with gamification at its core. You can create your own Badges and award them on completion of content or other tasks. You can upload a badge image, create a title and add a description telling the Learner what they need to do to earn each badge. Whenever a Learner earns a badge, an update appears in the What’s Happening feed. This lets them show off their achievement to their team and it encourages other Learners to complete additional content. Fully customisable Praise Badges can be awarded by Managers or Admins. These unique Badges can be sent to Learners to recognise special efforts and publicly acknowledge their contribution to the business. Arranging your training in Levels gives your Learners clarity over their progression and helps Admins and Managers coordinate training paths for multiple departments, from induction through to management training. You can specify which tasks your learners need to complete before they can progress to the next Level. This Required Content can include completing eLearning, taking an Assessment or earning an Achievement. Aside from assigning Required Content, you can set the number of Experience Points (XP) required to complete a level. Learners can earn XP by accessing content and completing actions as defined by the Admin. Learners can view their badges within the Badge Cabinet area. Here, they can also see badges they haven’t earned yet, complete with instructions on how to earn them, thus encouraging Learner-led training. You can create Achievements which Learners earn according to a variety of pre-programmed triggers. Current triggers include, updating profile images, downloading content and logging in outside of work hours. The Leaderboard is visible to everyone on your Academy LMS letting you drive completion and monitor engagement. This league table can be filtered by team and it ranks Learners by the number of badges (or XP) they have. Paths let you deliver training to certain groups, giving every Learner a personalised experience. This also lets you create relevant pathways for processes like onboarding, succession planning and compliance training. You can include additional Recommended Content in a Level. This content is not required to progress to the next Level, but it lets Learners investigate topics that make them curious and inspire their interest. Genie is an authoring tool that lets you produce game-based learning content. 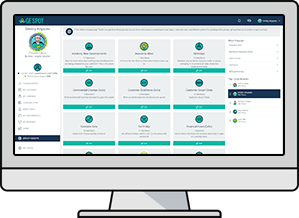 The exported SCORM files function on any LMS, but they are designed to work in harmony with the Academy LMS’ gamification features. 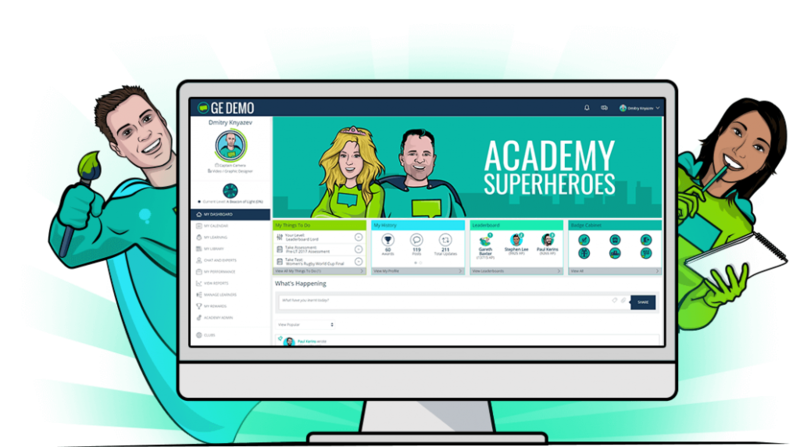 *The Genie Authoring Tool and Reward Centre upgrades are optional add-ons and are not included in the standard Academy LMS package. Since we learn twice as much from interacting with other people than we do from formal content, social learning tools are essential. The Academy LMS brings your teams together letting them share their knowledge. When a Learner completes eLearning or watches a video, they can rate their experience and leave their own comments. You can review the comments and place the most popular content front-and-centre. Our social integrations let users share any Badges or Achievements they have earned on Facebook or LinkedIn. This lets them share their successes outside of the LMS and gives your organisation more brand exposure. Clubs extend the learning beyond the formal training programme. These discussion forums can be created for any topic on an open or invite-only basis and visibility can be configured according to flexible user groups. As Learners add their own contributions, each Club becomes a library of relevant user-generated content. Managers and subject matter experts can see the most popular content and use it in future training initiatives. You can highlight your subject matter experts by granting them Expert status. Other users can find them in the Experts area, listed by expertise. Learners can ask questions, review FAQs or open a live chat. All actions appear on this news feed along with comments from users. The What’s Happening Wall also lets users share links and other files. These items can be Liked, ensuring the best posts rise to the top of the feed. The Academy LMS comes complete with live chat functionality. Your Learners can easily see who is online and chat one-to-one or in groups. They can even find the right person to answer their question in the Experts area. Users receive relevant alerts in the notifications menu. These are triggered when someone comments on their post, when they are tagged in a post or when they have been invited to complete some training. Each Club contains its own Top Contributor Leaderboard. Those who share the most content and interact with the Club more regularly rank higher, making it easy to discover who the experts are in any field. If a Learner asks a question in the Experts area, the question and the answer are logged in the FAQ area. Other Learners can then browse this area and find answers to their queries, easing the load on Admins. 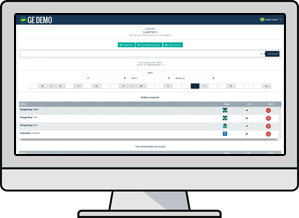 The reporting suite on the Academy LMS lets you manage your learners’ development easily. You can gauge how well the training is working, how engaged the users are and which knowledge gaps you need to address. 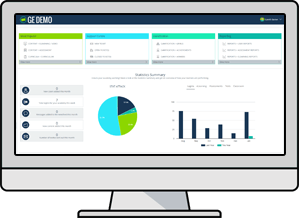 The main Reports dashboard features a number of graphs and charts giving you an at-a-glance view of user behaviour throughout the platform, including login rates, content completion and performance in Assessments. 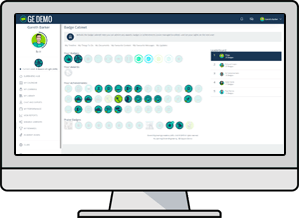 The built-in Assessment and Test features were created to give you the most useful learner data. You can run Reports on Assessments or Tests and filter the results by question to highlight knowledge gaps. You can generate custom reports using the Academy LMS’ Reports wizard. You can use a variety of filters to narrow down the information, and export the data in the most convenient way for you (.doc, .xls or .pdf). The Academy LMS is compliant with most current eLearning specifications and you can run reports on all data from your SCORM packages, like date and time of viewing, duration and knowledge check scores. Custom Fields give you the flexibility and freedom to craft a purpose-built reporting solution for your needs. This lets you upload your own custom data and include it as a separate field in one of your Reports. Get an extra level of insight by adding a Google Analytics tracking code to the Academy. This small addition unlocks the reporting capabilities of Google Analytics, as well as those of the Academy LMS. Training isn’t just about creating eLearning and pushing assessments. It’s about crafting the ideal online environment for your people. Our customisation options let you build an LMS that feels more like home. If any Academy LMS feature doesn’t fit in your training plan, it can be switched off. This lets you create a focused online learning environment that addresses your needs and gives your learners a clear path. The Academy LMS is available several languages including German, Spanish, Dutch, Italian, Portuguese, Polish, Latvian and Russian. You can also edit any language in the Admin area or add a translation of your own. You can adjust the design settings on the Academy LMS and build it to reflect your company’s identity. These settings let you change colours, titles and labels, and upload custom dashboard and level banners. During the setup process, you will be able to define a custom domain name for your Academy LMS. This is another way to give your platform its own identity and give your learners a system that was built for them. You can customise all automatic notification emails in the Admin area. This lets you tailor the content of each email, clarify the context and give your learners a more personalised and meaningful learning experience. At an additional cost, the Academy API lets you connect the Academy LMS to an existing application. For example, integrating with your HRIS or ERP system lets you automate tasks like adding, amending or deleting users. We have developed custom integrations for several or our clients’ applications (eg, Single Sign-On (SSO) with Microsoft ExpertZone). Get in touch with us to discuss your organisation’s integration needs. 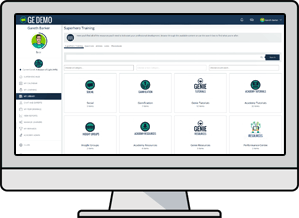 At Growth Engineering, we want to provide the best customer experience of any LMS on the market. Our Support Centre is designed to ensure that all issues are responded to within 24 hours and resolved quickly. At an additional cost, you can charge for content including eLearning, video and classroom events. 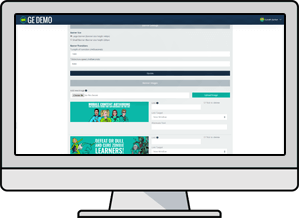 You can create stand-alone catalogue pages, meaning that customers needn’t log in to your Academy LMS. 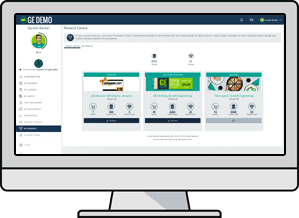 The Academy LMS comes with a flexible invite Manager. This multi-purpose tool lets you send email notifications to all users on the platform, or filter the recipient list by team or groups to narrow your audience down. The Performance Centre is an upgrade that works with the existing functionalities on the Academy LMS. This performance management add-on shows each Learner how their efforts impact the performance of the wider business. The Performance Centre* is an upgrade that works with the existing functionalities on the Academy LMS. This performance management add-on shows each Learner how their efforts impact the performance of the wider business. Learners, Managers and Admins can use the Performance Centre to set personal and organisational objectives. For each period, they can update their own KPIs or monitor their team’s progress to get more clarity. Here, you can define the key principles at the core of your organisation. If a member of the team demonstrates a meaningful behaviour, anyone can nominate them to receive a special Values and Principles badge. Managers can assess each member of their team and identify any skills gaps. This area lets them recommend additional training content to help Learners improve their competencies and achieve their career goals. You can use the Performance Centre to define roles and specify competencies for each one. This opens an ongoing discussion between Managers and Learners, letting them gauge each competency level and drive progression. In this area, Managers can send Review forms to capture the Learners’ progress, providing a fairer and more streamlined experience. This also gives Managers and Learners the opportunity to agree on future development. You can add extra insight to your reports by including data from the Performance Centre. This lets you analyse performance data and draw links between training initiatives, thus demonstrating a return on investment. *The Performance Centre upgrade is an optional add-on and is not included in the standard Academy LMS package. Here, you can create real-world rewards. Learners can visit this area and redeem any XP and Badges they’ve earned throughout their learning journey. Here, you can create real-world rewards. Learners can visit this area and redeem any XP and Badges they’ve earned throughout their learning journey*. With the Reward Centre, Managers can leverage extrinsic motivation by offering tangible rewards. Depending on what works for your learners, these can include gifts, vouchers or even donations to charities. Aside from offering tangible awards, you can define other perks in your rewards. These can include single-use ‘Monday-morning-lie-in’ tokens, or granting additional user permissions, like Expert status. *The Reward Centre upgrade is an optional add-on and is not included in the standard Academy LMS package. A Sales Academy can help you deal with the specific training needs of your sales teams, giving you a learning environment that creates effective salespeople. A Sales Academy* can help you deal with the specific training needs of your sales teams, giving you a learning environment that creates effective salespeople. With a Sales Academy, your people can access a full library of Sales and Marketing eLearning, accredited by the ISMM. They can even earn recognised qualifications, giving them an extra level of motivation. Segment your team, deliver prompt product training and create a sales competency framework to ensure the best sales performance. As part of the setup process, we can tailor your Sales Academy to suit your needs. 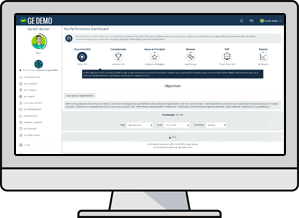 *The Sales Academy upgrade is an optional add-on and is not included in the standard Academy LMS package.